The bar had a funny cross-section of older couples on dates, and men there to watch the MMA action on the big screen. 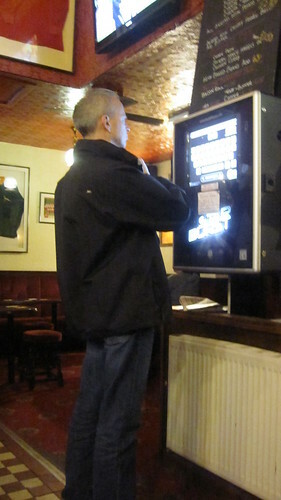 I love it when a pub has a jukebox. Here I am at the controls. We made three selections: Cars by Gary Numan; Waterfront by Simple Minds; and Fortunate Son by CCR. But the selections were so far behind that we left before we even got to hear them. I hope the patrons liked our choices! Our second Rose Street pub in a row, we jokingly thought about attempting the infamous Rose Street crawl. 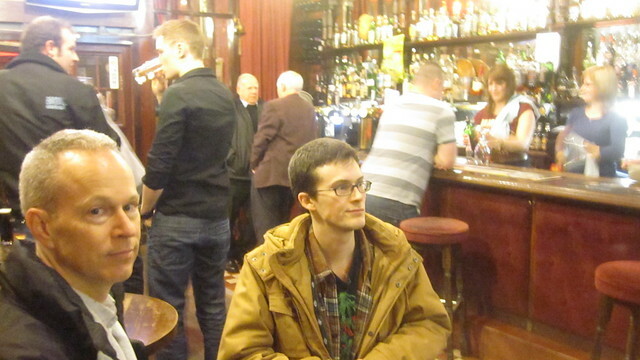 But instead our friends said to meet us on Grassmarket, so away we went.